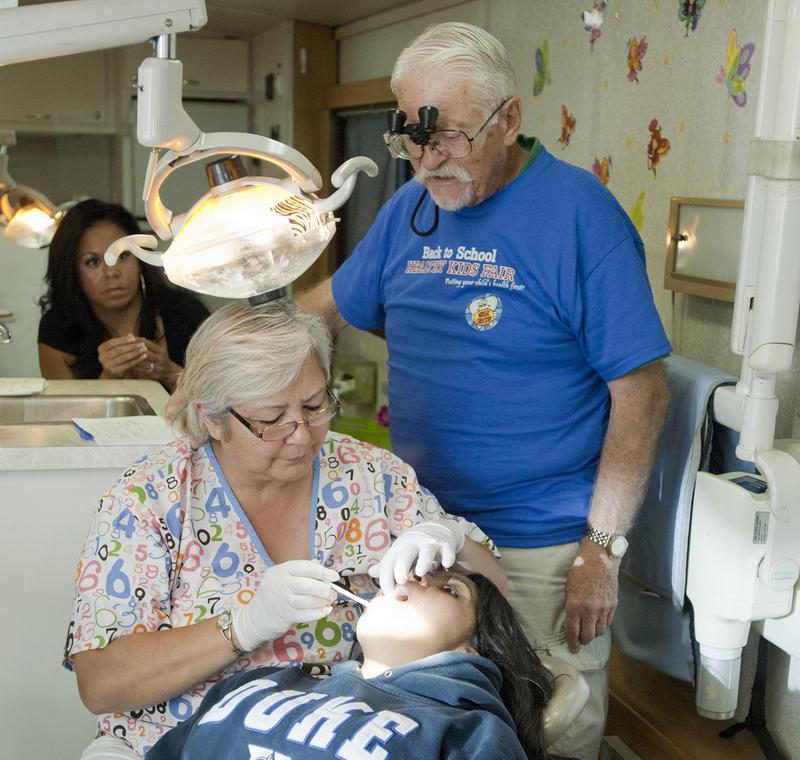 The Colorado Coalition for the Homeless Dental Clinic provides comprehensive and emergency services to families and individuals experiencing homelessness regardless of insurance coverage. The Dental team provides compassionate and professional service in a state-of-the-art facility. The experienced and friendly staff will make sure you leave with a smile. The Dental Clinic also provides outstanding care for children and teens during regular hours in a calming environment. Families, who are unable to make appointments during the day, are also encouraged to visit the Monthly Pediatrics Night, where families can access dental services, as well as primary care, eye exams, and fun activities for kids. Please ask the Dental Clinic for more information. To schedule an appointment, call (303) 293-2220 or come in person to the Dental Clinic front desk in the Stout Street Health Center. No need to bring anything with you, nor do you need insurance in order to be seen. When you come to the Dental Clinic for an appointment, one of the dental assistants will take you to a comfortable treatment room where you will be able to meet your hygienist or dentist. During the first appointment, you will receive x-rays, an oral cancer screen, and a complete evaluation of teeth and gums. You and your provider will discuss treatment options and select the best treatment plan for you. Follow-up appointments can be made the same day. If you have questions or concerns, please feel free to discuss them with the Dental Clinic staff.